What is a Death Certificate Request? 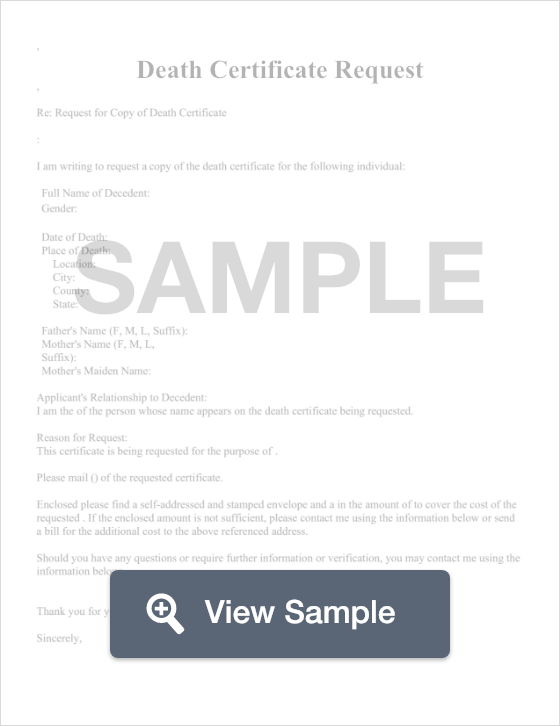 A death certificate request is used by an individual to request a copy of a decedent's death certificate. A death certificate request is used by an individual to request a copy of a decedent's death certificate. This certificate may be needed in order for someone to claim death benefits, notify organizations, obtain insurance payments, and other actions. Death certificates are typically only granted to close relatives of the decedent, such as the next of kin or spouse. To request a death certificate, the proper form must be used. This form is usually provided by the county or state. Death certificate requests are often handled by each state's Department of Health or public records office. People requesting a death records may need to provide verification of their relationship, through forms such as a birth certificate, marriage certificate, or affidavit. Personal information will also need to be furnished, including full name, contact information, and copies of photo identification like a license and a social security card. Many people think that because vital records like death certificates contain public information, they should, therefore, be available for anyone to access. However, since vital records contain very sensitive and personal information about an individual and are therefore issued only by an official state, county, city, or township office that is authorized to issue such documents. In order to maintain the security of the vital records that they are authorized to issue, vital records agencies have specific regulations and requirements regarding who can actually request an individual's death certificate. 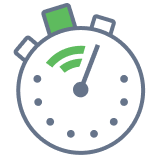 Create a free Death Certificate Request in minutes with our professional document builder. Official certified copies of a death certificate are printed on special security paper and will include some type of raised, embossed, or multicolored seal on the document, general along with a registrar's signature, to indicate that it is an official document. Informational copies of a death certificate may or may not be printed on security paper and will typically not include an official seal or the registrar's signature. In fact, some information copies may simply be a photocopy of the original death certificate that is on file. These informational death certificate copies are generally not valid for legal purposes, but may be used for genealogy purposes or to document family history. In general, anyone can request and obtain an informational copy of a death certificate. To manage a variety of other legal and financial matters related to the decedent's death. Step 2 - Determine the search fee for the death certificate requested. The fees are usually listed on the application. Step 3 - Take the completed form and fee to your local vital records agency with whatever other documentation is needed. In some states, you may be able to submit your application through the mail via the U.S. Postal Service. 1. Make sure that you have all of the necessary information about the death certificate you are requesting. Without this basic information, chances are your request will be denied. 3. Once you have gathered the necessary information, you can begin the process by visiting the government agency's website and selecting the type of certificate you want to request copies of, which in this case is a death certificate. 4. You will then be prompted, in a step-by-step manner, to answer a series of specific questions regarding the death certificate you are requesting. Please note that providing the most accurate answers possible to these questions will help ensure that you will receive the correct certificate. 5. Finally, you will be asked to submit payment information to pay the processing fee along with any identifying information required to complete your request. The rules and regulations governing the request and issuance of death certificates and other vital records vary from one jurisdiction to another. Be sure to check with the agency responsible for issuing death certificates in your area for any requirements regarding who can be issued a death certificate, what information is needed, how much the certificate costs, and processing times. A death certificate request is a form that is used to request personal information. With a death certificate request, you are requesting a copy of the death certificate. The purpose of an affidavit of death is to make a sworn admission in writing that someone has died. An affidavit of death is often sent to creditors of the deceased in order to inform them of the person's death. A Medical Power of Attorney delegates the power to act on your behalf in relation to medical decisions should you expect in the future to become incapacitated in managing your own health care alone, or unable to express your wishes. A living will serves an important function. It has nothing to do with the items that you own. Rather, a living will is used to name a person who can make medical decisions on your behalf if you're unable to make those decisions. It also explains your wishes in regards to future medical care or life-preserving treatments.